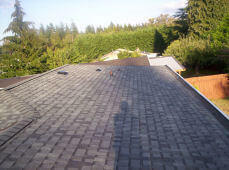 Strip shingles containing more than one layer of tabs to create extra thickness. 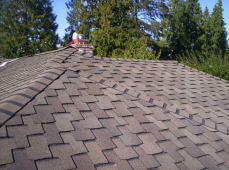 Laminated shingles are also called three-dimensional shingles or architectural shingles. Most have drastic color changes to make them look smaller like shake-type roofs. When working with tile roofs, lead flashing is used. In the case of a plumbing vent flashing, the lead flashing is actually molded to the shape of the tile’s surface. Then the top of the lead flashing is covered by the next tile to prevent water from seeping under the flashing.